Copper production in the Bor region (east Serbia) during the last 100 years has influenced the quality of soil, water, and air. This pollution has endangered not only the biotope but all living organisms, including humans. Contents of arsenic (As) and cadmium (Cd) were analyzed in Betula sp. (birch) and Tillia sp. (lime) within the Bor region with the aim to investigate the bioaccumulation of these highly toxic, nonessential trace elements in selected plants, which may be important for biomonitoring and bioremediation purposes. The results of statistical data analysis showed that several factors influenced the bioaccumulation of trace elements in the examined plants, of which soil pH, soil content, and mechanism of accumulation were the main factors. 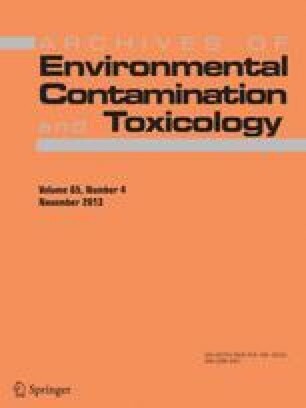 The greatest As and Cd concentrations were found in plant material from the Bor center sampling site in the urban/industrial zone, which is in close proximity to the pollution source, due to the greatest metal concentrations in soil and the lowest soil pH. The low values of biological accumulation coefficients (bioconcentration factor <1, mobility ratio <1) pointed to a low rate of uptake and accumulation of As and Cd in lime and birch. Trace elements showed different patterns of behavior and accumulation in the trees. Lime showed a high ability of assimilation through leaves, whereas birch showed a better potential to express a linear correlation between concentrations in plant parts and soil. The authors are grateful to the Ministry of Education, Science and Technological Development of Serbia, for financial support (Project No. 46010).